The European peoples whose governments were paid to sell out the sovereignty of their nations to the EU are experiencing great difficulties in being permitted to govern themselves. As the result of Italians’ frustration with the self-serving elite who have ruled Italy for decades, the recent democratic elections in Italy brought to power two anti-establishment political parties, Five-Star and Lega (League), that have solid majorities in both houses. 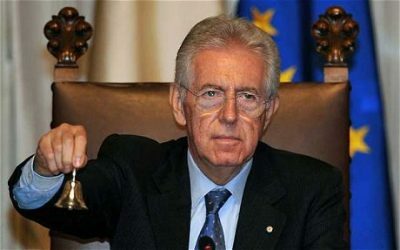 However, the Italian president, an operative for the EU and US, attempted to appoint the prime minister independently of the election results, tried to himself appoint a “technocratic cabinet” that would ignore the democratic outcome, and succeeded in blocking the anti-establishment winners of the election from forming a government for three months. Greece suffered the same fate of having an unelected banker appointed prime minister of Greece. Later when the Greeks succeeded in electing an anti-establishment government, the EU used economic threats and punishments to prevent the Greek government from governing. In the US the Democratic Party, presstitute media, and the security agencies have made a strenuous effort to overturn the election of Donald Trump. They have failed to evict him from office, but they have turned him away from his goal of normalizing relations with Russia and withdrawing militarily from the Middle East. In effect, Trump has been forced into the position of being the agent for what he campaigned against. In the West and among Western funded NGOs that operate in Russia and China, there is mindless talk about Russian and Chinese authoritarianism. Yet, democracy is far more alive in Russia and within the Chinese Communist Party that it is in the West. Western democracy has been dying for a long time. In the course of forming the EU, populations in some countries voted down membership. The vote was not permitted to stand. After a period of propaganda to instill fear of being “excluded from Europe,” populatons were made to vote again. In this way they were strong-armed into sacrificing sovereignty to the EU. It remains to be seen if the British vote to exit the EU will actually be implemented. The Western elites despise democracy. They tolerate it only as a cover for their self-dealing when it can be manipulated to serve their interests. The Russians who want to join Western Democracy are clearly lacking in understanding. Considering the seeds of crisis that the self-serving policies of the Western elites have sowed, the responses to the crises will be calls for and acceptance of authoritatrian rule. It is entirely possible that the democratic era is approaching its end. 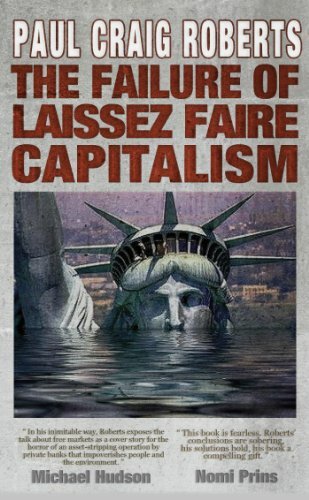 This article was originally published on Paul Craig Roberts Institute of Political Economy.